You are so creative, Karen. 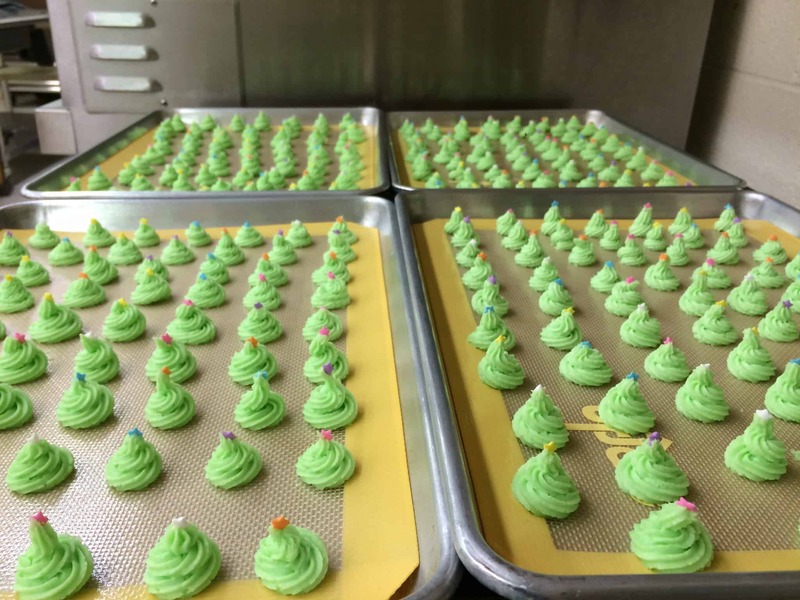 I love all those little frosting trees! I look forward to seeing your beautiful knitted, crocheted and woven creations in 2016. Karen, I have always called a WIP a UFO (unfinished fiber object). I have probably a dozen, maybe more, but no inventory and some of them are a decade or more old…time to toss or give away. I spend a great deal of my time talking or reading, not working. Doing two things at once confuses me. I am always in awe of your energy and follow through, but I don’t want to be like you. I would die of exhaustion! Happiest of new years and good luck. Oh what a great cake! That oven sure made easy work of those cookies and good job too. 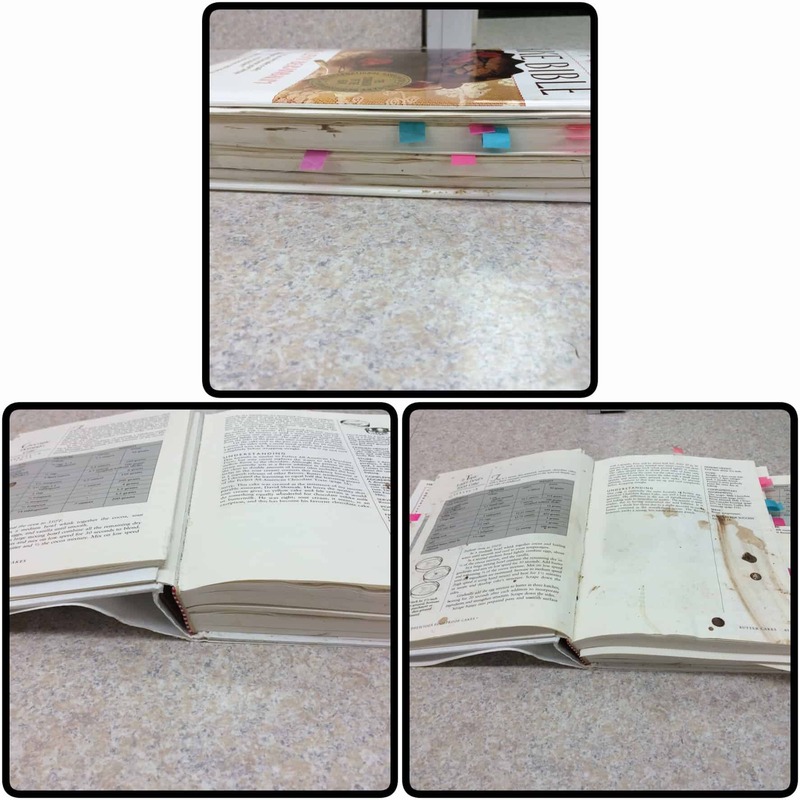 I love a cookbook that’s so great it tells it’s own story with ingredients all over it! Looking forward to seeing all your knit and crochet creations this yop year. 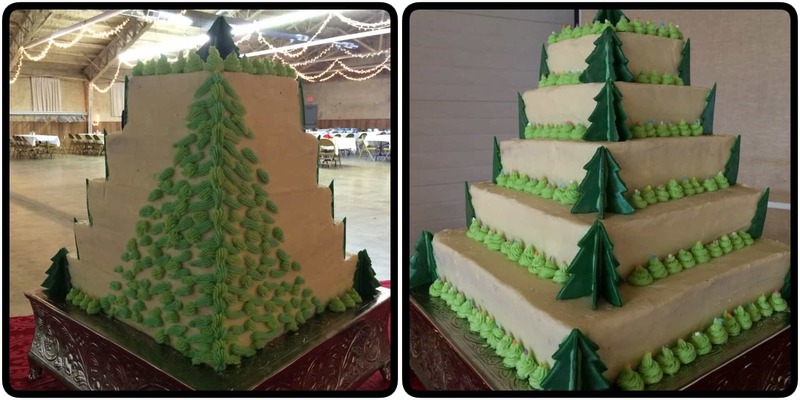 That tiered cake is amazing – looks too good to eat! 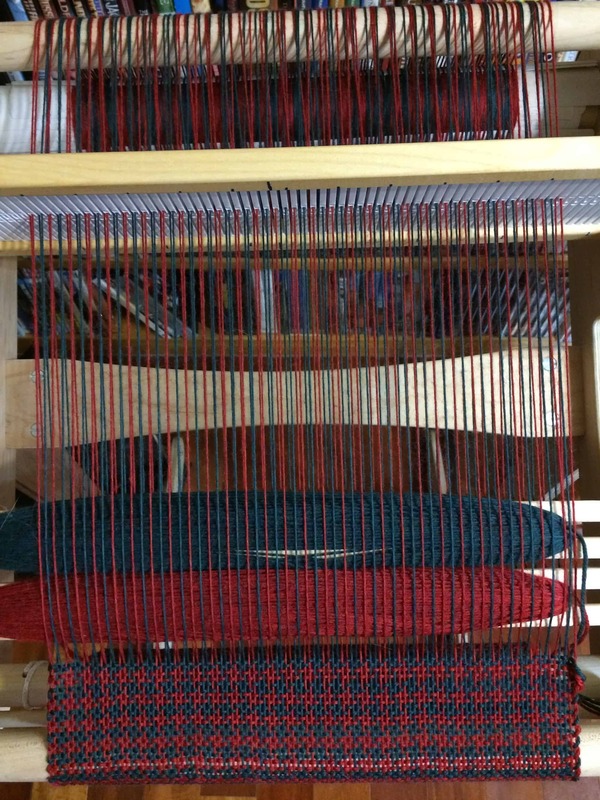 I just love seeing weaving projects on looms! And the colours are beautiful together! Wow, I love that cake – it seems like such a long time ago that I made ‘proper’ cakes! Looking forward to following your progress through this next year. The cake was just as delicious as it was beautiful. Karen’s attention to detail in her baking is just what you would expect from seeing her projects here on the blog. 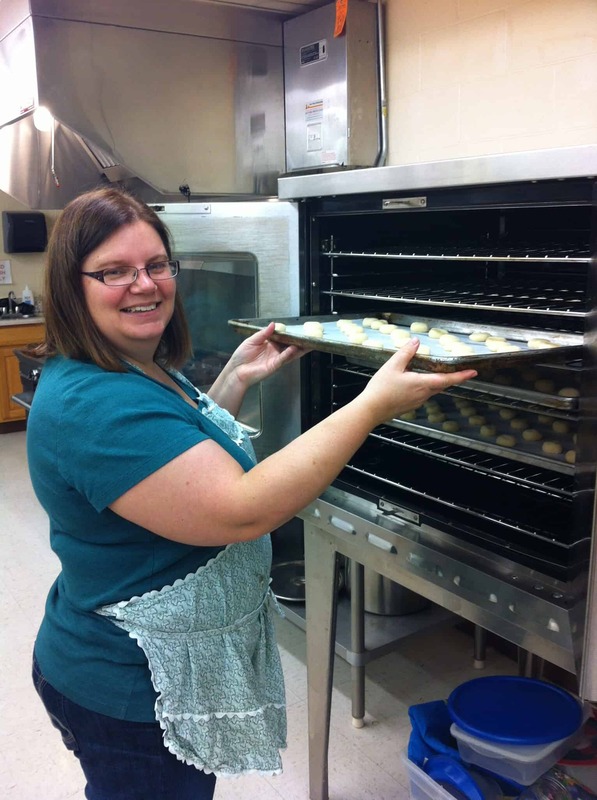 She has great resource materials and everyone raved about the flavor of the cake and fillings. I doubt many people in attendance had ever tasted such a fancy cake. 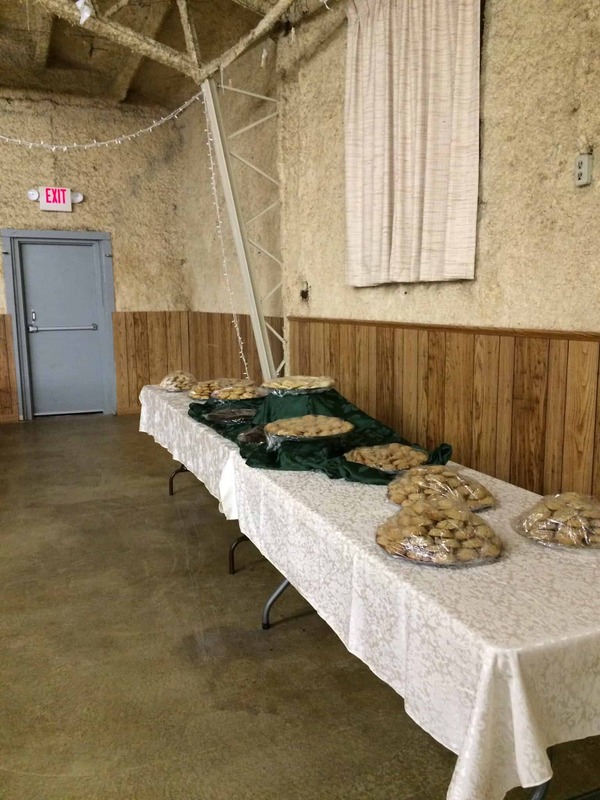 The cookies were a hit, too. I took the leftovers to our local homeless shelter and they were really excited about the donation. The two days we spent as a baking group were full of laughter and fun as well as hard work with Karen as our leader. I suspect that we could easily get everyone back to help with another baking day because we enjoyed ourselves. Karen also was a beautiful matron of honor and wore a sheep-covered apron to cut and serve the cake. I am pretty sure there will be official wedding photos of the apron, which makes me happy. Mom is right – Karen and Chris are the best friends you can imagine. We were even all at the reception hall until 12:40 a.m. the morning of the wedding putting the finishing touches on the cake and then at my office at 1:00 a.m. looking for an errant shawl. Couple that with a 9:00 a.m. hair appointment and you can tell she went above and beyond the call of duty! Next Next post: How Many Projects?